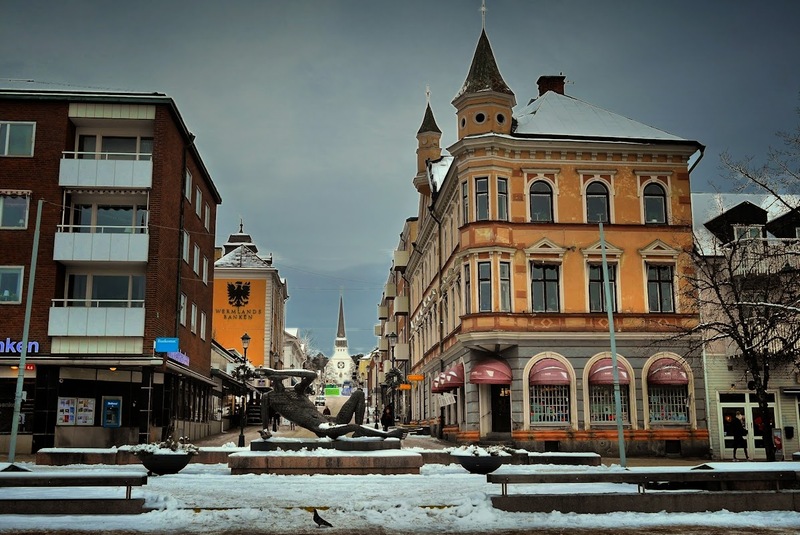 "The town was a village until 1811 when it was given town privileges by royal charter under the name Oscarsstad in order to improve the economy of the area. This attempt was unsuccessful, and the town privileges were repealed in 1821 and the town was instead given the status of köping (township) and renamed Arvika. 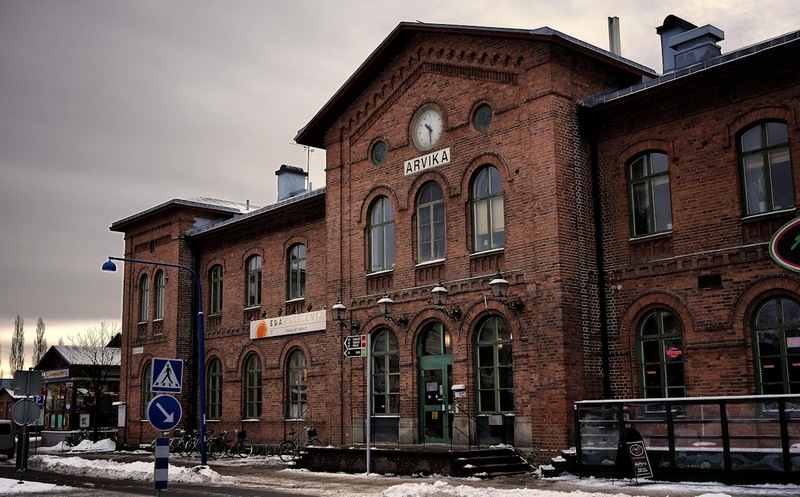 The town privileges were reinstated at the founding centennial in 1911, and the name Arvika remained. 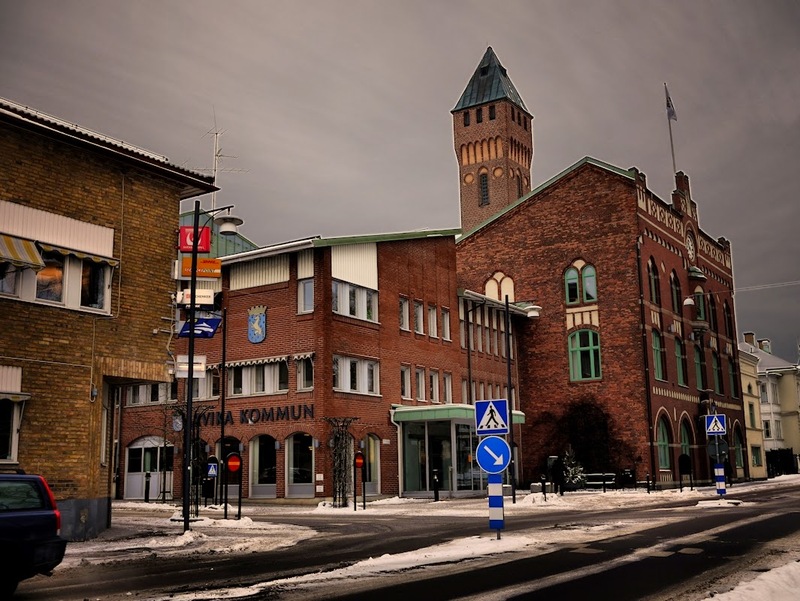 The city status is now obsolete, but Arvika is since 1971 the seat of the larger Arvika municipality." An incredible big and impressive building - probably telling a story of former citizens ambitions for the township when they opened the station in 1871. A traditional waiting hall and some wall paintings that seems to have been here for some time. I wonder who the lady to the left of the wall is - surely some local character. They opened the town hall back in 1904. At the time it also housed the fire brigade and the police in the municipality. Maybe the lookalike castle-tower was a place for drying up the firebrigades fire hoses. 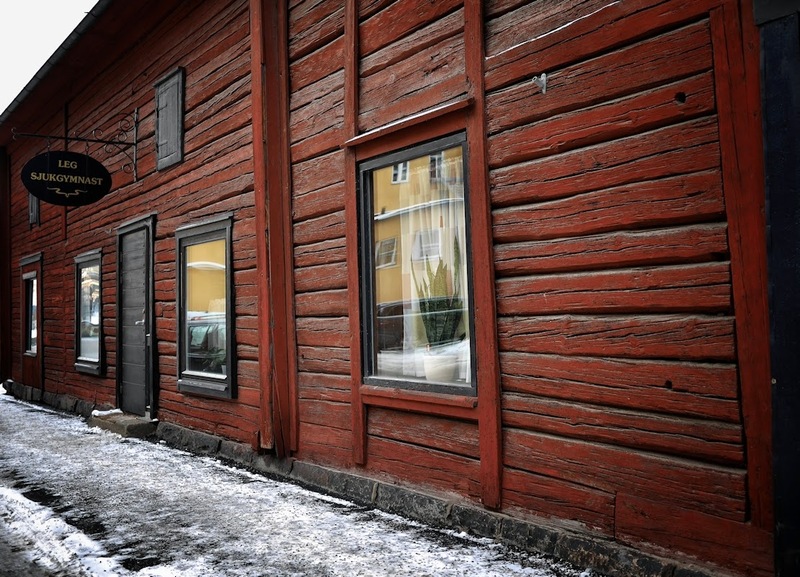 Can this be the oldest house in Arvika? 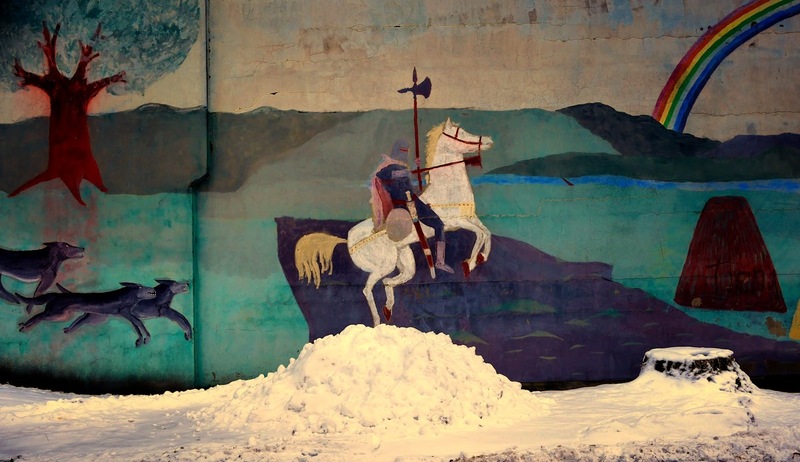 What to do in Arvika a winter day in February? One can say much about Arvika - but you can not say that the city life was pulsating this winter day. Out on the frozen lake I could spot some few skiers and hikers while I spent an hour sitting at the local Ohlsons restaurant having my lunch. This was surely some good friends meeting for lunch this Friday in February. Lots of things to talk about and enjoying their company around the table in Ohlsons Restaurant. It was interesting to visit the township of Arvika this winterday, looking for interesting objects to make a photo of. Before lunch almost no people to see outside - hopefully they thrive the people who live here day in and day out through the years. I am going to Norway in April. I found your page browsing around. 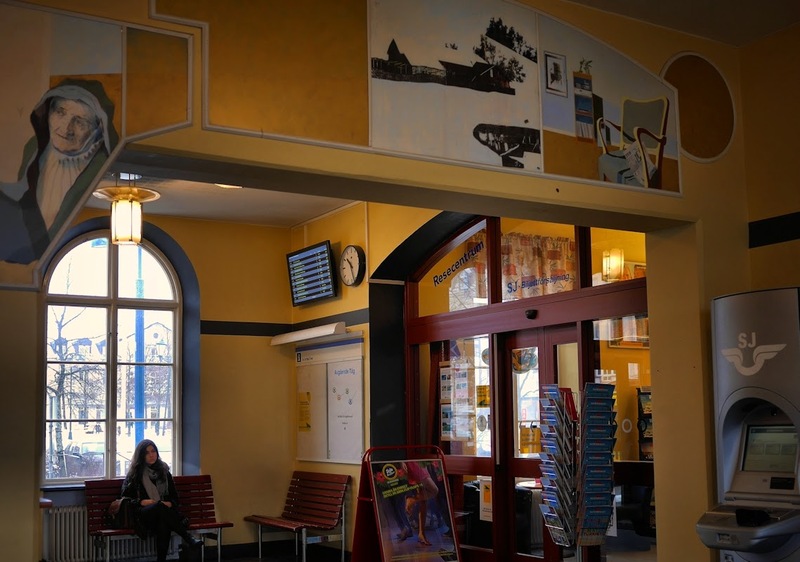 I may now take a side trip to Arvika. Thanks!